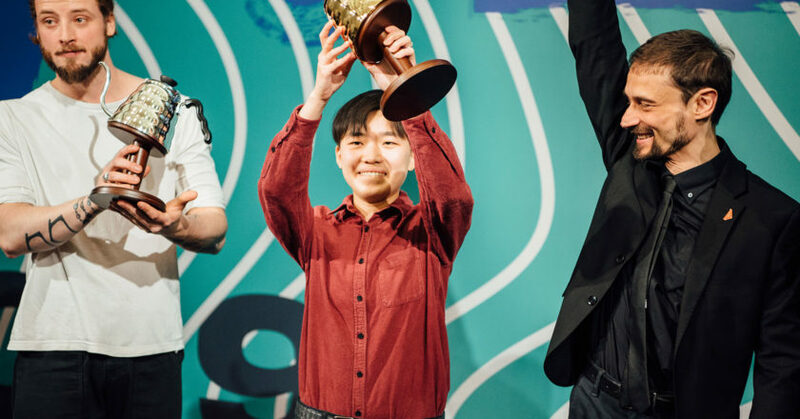 Patrik Rolf of Sweden placed second, Alessandro Galtieri of Italy placed third, Chikako Nakai of Japan placed fourth, Hsu Shih Yuan of Taiwan placed fifth, and Daniel Hofstetter of Switzerland placed sixth in the Finals round at the Specialty Coffee Association Expo in Boston, United States. Australia’s Yanina Ferreyra of Project Origin placed ninth in the competition. 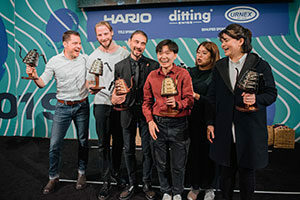 Finalists Daniel Hofstetter, Patrik Rolf, Alessandro Galtieri, Jia Ning Du, Chikako Nakai, and Hsu Shih Yuan. Forty-five coffee professionals competed in the WBrC over the four-day competition, preparing and serving three individual beverages for a panel of judges. The baristas used compulsory coffees for their first round, and a coffee of their own choosing for the second and final rounds. For her routine, the Head Trainer of Uni Uni coffee shops chose to brew her coffee without explaining what varietal she was using until the end of her presentation when she could enjoy the coffee together with the judges. Jia went to Ninety Plus Estate in Panama to select her competition coffee. She tried many different lots, but the moment she had found ‘the one’, was when everyone tasted the coffee and looked at each other in silence – it was a Geisha varietal. Jia says she will celebrate tonight with lots of “beer and sleep” but is amazed and her own accomplishment. “Placing in the top six was my initial goal, but I’ve done a little better,” Jia says.